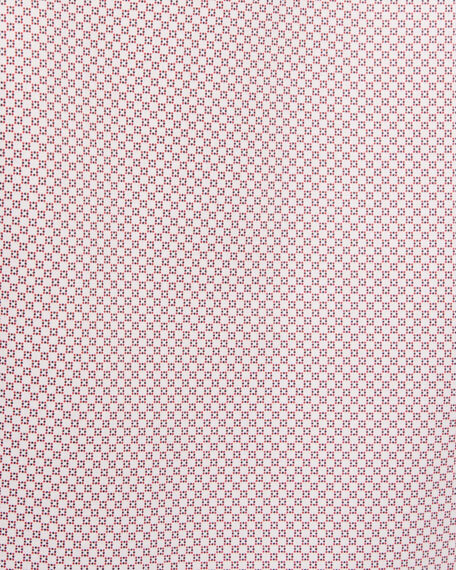 Ermenegildo Zegna sport shirt in micro-print. Ermenegildo Zegna woven check sport shirt. Spread collar; French-placket button front. Rounded barrel cuffs. Yoked back shoulders. Cotton. Imported. Model's measurements: Height, 6'2"/188cm, Suit 40L, Shirt 14.5x35, Waist 32"/81cm, Inseam 33"/84cm. Ermenegildo Zegna sport shirt in large check. Spread collar; button front. Rounded barrel cuffs. Cotton. Imported. Model's measurements: Height, 6'2"/188cm, Suit 40L, Shirt 14.5x35, Waist 32"/81cm, Inseam 33"/84cm. 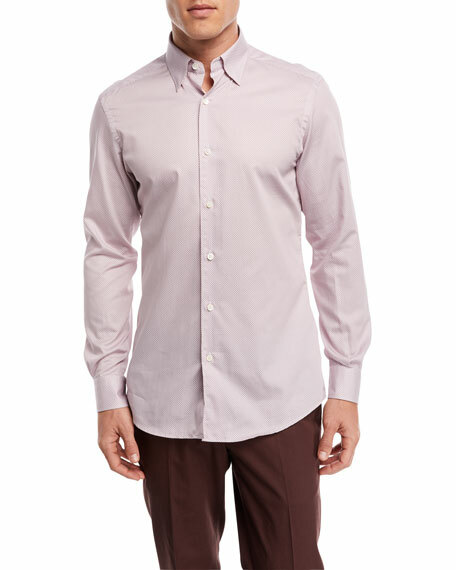 EXCLUSIVELY AT NEIMAN MARCUS Ermenegildo Zegna sport shirt in solid twill. Spread collar; button front. Rounded barrel cuffs. Shirttail hem. 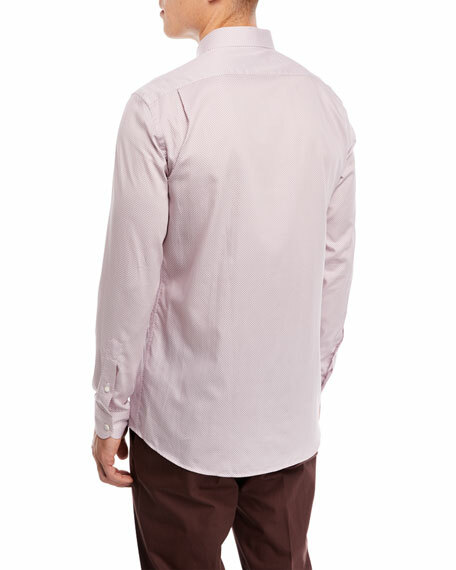 EXCLUSIVELY AT NEIMAN MARCUS Ermenegildo Zegna sport shirt in solid twill. Spread collar; button front. Rounded barrel cuffs. Shirttail hem. Cotton. Imported. Model's measurements: Height, 6'2"/188cm, Suit 40L, Shirt 14.5x35, Waist 32"/81cm, Inseam 33"/84cm.